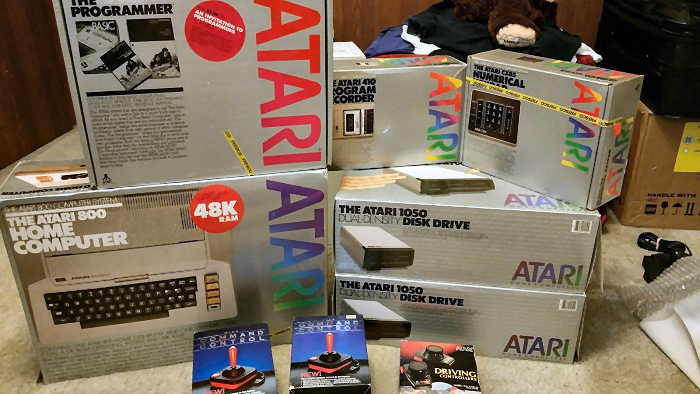 If you are looking for the early '80s power user's dream set up, this amazing Atari 8-bit bundle on eBay should be for you. Not only will you be bidding on the 48k Atari 800 computer, but also on two (!) dual density disk drives, the numerical keypad, one program recorder for the odd game stored on tape, two joysticks, the Atari paddles, and the very interesting sounding The Programmer that aims to teach you BASIC. Everything is boxed and in apparently great condition, though some manuals might be missing.